What is the true nature/nurture of bluegrass? 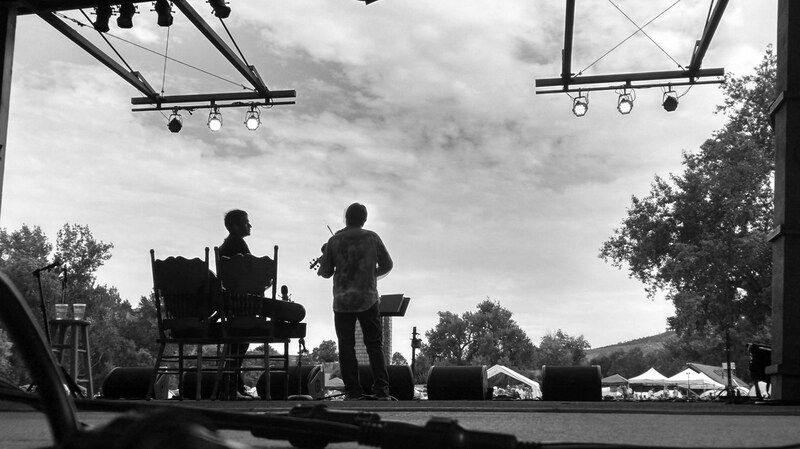 5:30 p.m. July 26, 2014, Lyons Co. – Between the twang and the jazz riff there is a common sonic territory. 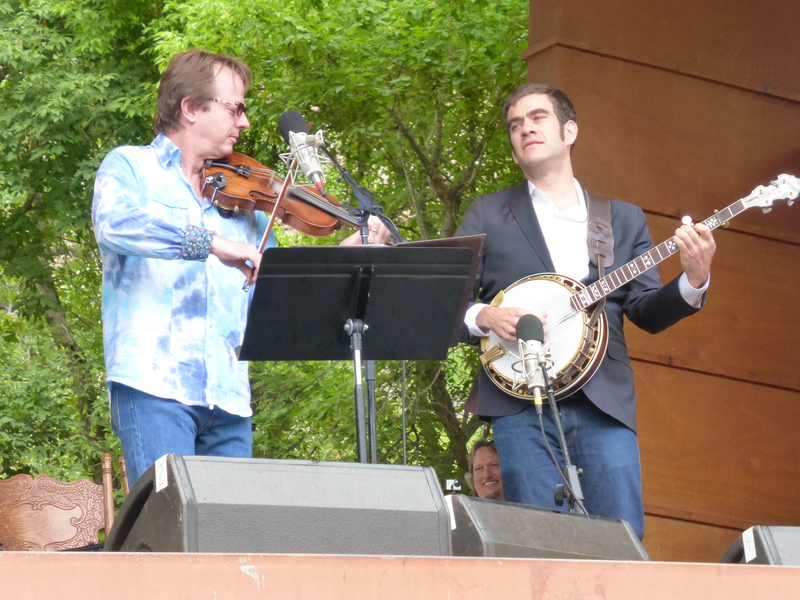 That was apparent yesterday at Rockygrass when notable jazz/gypsy guitar players John Jorgenson and Julian Lage expressed their love for American acoustic music – and they weren’t bluegrass dabblers. Last night Bruce Hornsby took a break from his tour with jazz guitar savant Pat Metheny to rejoin Ricky Skaggs for a thundering set that underlined the fact that piano is a bluegrass instrument. The band’s version of Mr. Hornsby’s pop hit, “The Way It Is,” was extended into a chamber opus that was part breakdown, part bebop. 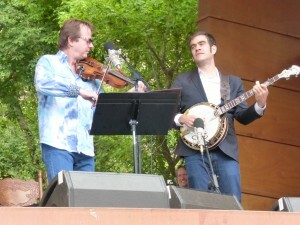 When Noam Pikelny – winner of the Steve Martin Banjo Prize – did a duo set today with Stuart Duncan, the music ranged over the landscape of notes and instrumental techniques but the soul was bluegrass. “In bluegrass, sadness is implied, it’s overriding. Just listen,” said Pikelny.